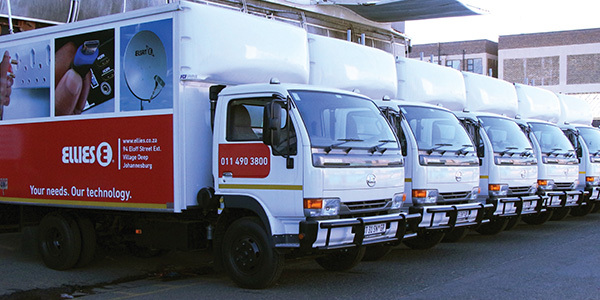 Established in 1979, the Ellies Group listed on the Alternative Exchange of the JSE Limited on 5 September 2007 and moved to the Main Board in 2010, in the Electronics and Electrical Sector. The Group is a leading Southern African manufacturer, importer, wholesaler and distributor of quality, proprietary LED lighting, electrical and electronic products and solutions to both the residential and commercial sectors. In addition to supplying aerial and satellite equipment, accessories and hardware, headway has been made in PV solar, cable and fibre distribution networks, along with signal, sound and AV turnkey solutions, specifically in the business sector. Ellies is ideally positioned to capitalise on the ever-increasing demand for these products and services in Southern Africa, and to introduce new offerings to our extensive and diversified customer base. 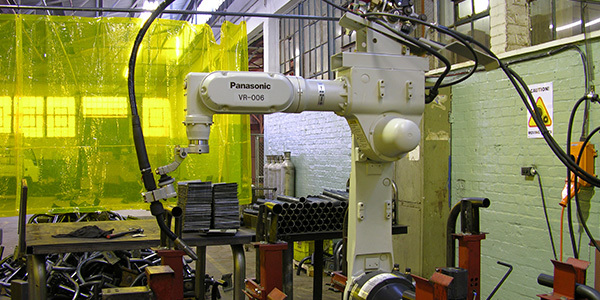 Aluminium and plastics manufacturing: Product development and the manufacturing of terrestrial antennae using specialised machinery. Electronics manufacturing: Ellies own-design products such as the Wizard Remote Blaster and Video Sender are manufactured and assembled using SMD machines. Light metal manufacturing: This subdivision manufactures products in an advanced light metal fabricating plant. These include wall brackets; LED and plasma TV mounts; DIY shelving; satellite and terrestrial mounting brackets; and satellite dishes. Ellies manufactures products catering for both coastal and inland conditions using steel, stainless steel and galvanised materials. The galvanising plant enables the Group to have more control over manufacturing volumes and costs. The Group has its own tool and powder coating plant, ensuring self-sufficiency, as well as screen-printing capabilities, giving it the flexibility to meet the requirements of the Original Equipment Manufacturers (OEMs) to which it exports. 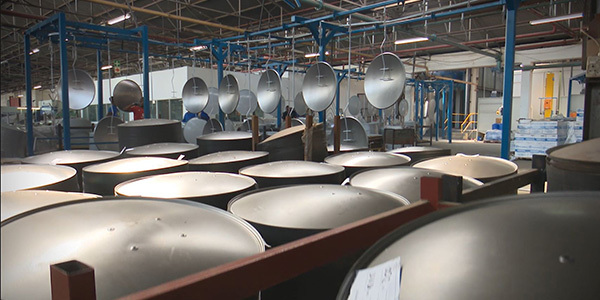 With a dedicated R&D Department, many of Ellies’ products are designed, developed and manufactured in South Africa. Some examples include the market-leading Wizard Remote Blaster, TV antennae, DTT aerials and Wizard Audio/Video Sender, TV Link and a range of solar home power backup systems. We strive to continually reinvent ourselves by developing products both core and complementary to our business and related industries, such as wireless remote extenders, surge protector and security products. Ellies has a packaging plant with specialised facilities including Cryovacing and plastic blister packaging. Ellies warehousing, distribution and logistics functions have been reinstated within our business to ensure ‘just in time’ deliveries to customers. Our primary focus is on warehouse optimisation to increase supply chain visibility, streamlining warehouse processes and improving customer service. Initiatives continue with regard to space utilisation optimisation, achieving labour efficiencies and the management of stock control, together with the implementation of a software management system. Our new infrastructure is ready to support our diverse business operations comprising of retail, furniture and independent stores in urban and rural areas, to our commercial lighting and Elsat customers and Ellies branches countrywide. In creating synergy and alignment across key divisions, Ellies is well placed to support the business, sales, customers and profit generation by improving the bottom line utilising insights gained into the cost of doing business. This has allowed for cost reduction, performance improvement, increased marketing and innovation to create value. It has further ensured the Group remains outward facing and intrinsically linked to customers’ needs, as well as providing guidance on how the business communicates with customers and delivers on its commitments.